The restaurant TOKU in the big Taipei city is just as captivating as its fiery celebrity chef namesake. As a Tsuki certified chef Toku has used his travels (documented in his own TV show, Mr. Travel) as inspiration for his californian-style sushi menu. It can be a little difficult to glean information about the restaurant when reading reviews, because each begins with a evangelical rave about the charismatic allure of the man himself. This hospitable host makes his guests feel at home at his gourmet altar. Though he's all mix and match at the mention of fusion food, Toku is a purist when it comes to constituents. He believes that great culinary art can only be the result of the best, freshest ingredients - and the proof is in the proverbial pudding. Because the local fish market is closed on Mondays, so is Toku. Open 6PM 'til 3AM, Tuesdays to Sundays, this restaurant is a great option for those wanting some truly good late night nourishing. Guests arrive ou of the early morning darkness at TOKU's doorway, slip off their shoes and seat themselves on the tatami mat with a sigh of relief. Meanwhile, Toku rattles off a tale of his latest trip to the local fish market, he heavy-handedly pours Japanese whisky into his own interpretation of a long island iced tea. Alternatively, guests enjoy the steady stream of sake (poured out of Toku's very own sake machine) or Orion beer on tap. 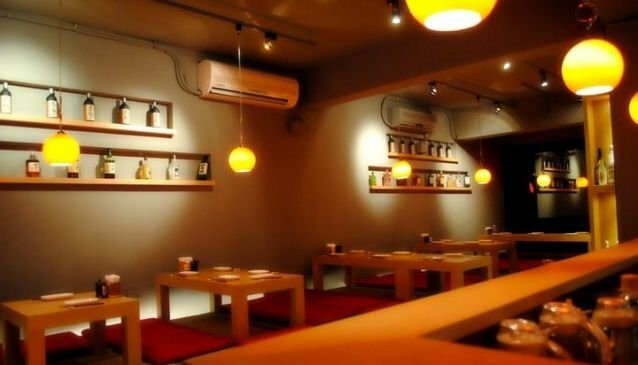 Toku is a vibrant dining spot for Japanese fusion cuisine in Taipei. Fine dining in a fun environment.